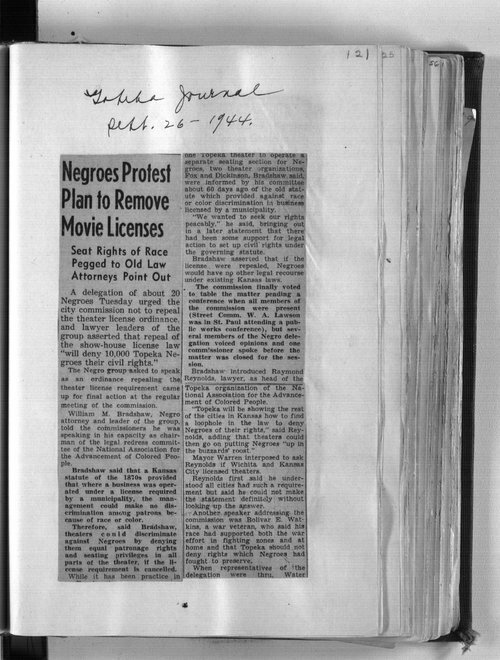 This article describes an African American protest against the repeal of a theater license ordinance in Topeka, Kansas. The group argued that an 1870 Kansas statute mandated that businesses licensed by a municipality "could make no discrimination among patrons because of race or color." The group claimed the repeal of the theater license would allow theaters to racially discriminate.